Wakey Wheeled Cats (WWC) v Wolverhampton Honour Rollers (WHR), Concord Sports Centre, Sheffield, Saturday July 18th 2015. 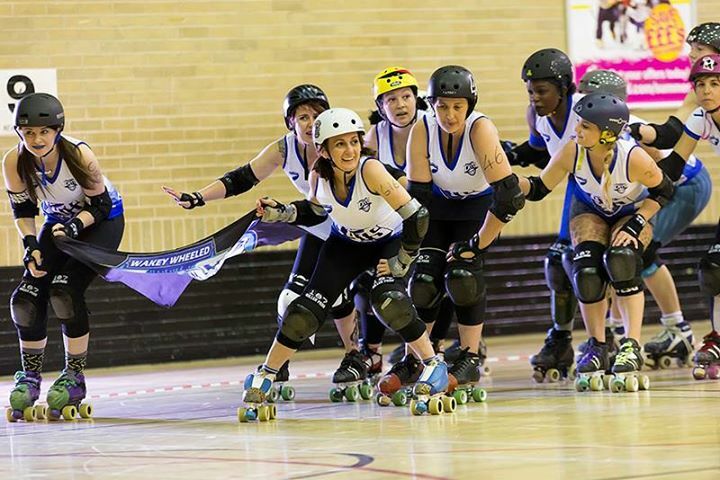 Once again, Wakey Wheeled Cats spirit and tenacity came through in the face of adversity against Wolverhampton Honour Rollers, who currently sit at the top of tier 4 (local-central-north). 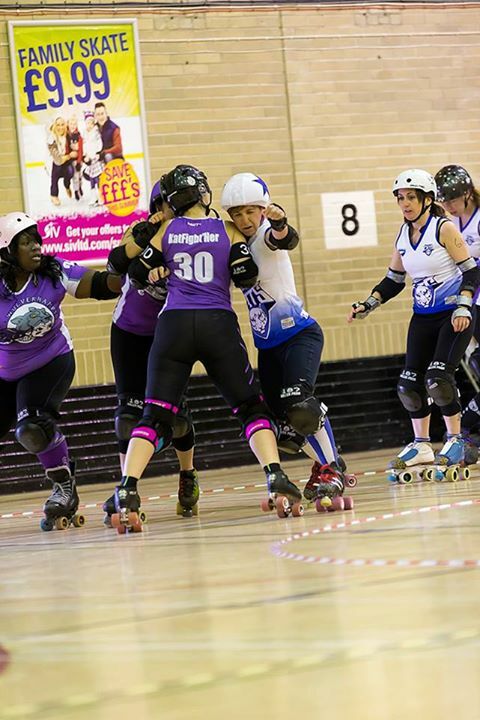 The first jam saw WWC jammer Vicki Gray been sent to the penalty box following a text book star pass after WHR jammer Samantha Bourton took lead. The power jam allowed WHR to secure a 24 point lead. But WWC soon countered with Nikki Holt taking full advantage of a power jam, bringing the scores to WHR 24 WWC 15. The rest of the first half saw several lead changes and a concession of power jams for both sides with Wakey’s Katie Swift, Anne Body and Katie Walker all adding points to the board. But even with some fantastic blocking and offensive blocking from the likes of Kirsty Quinn and Katie Clayton, The Cats unfortunately were not able to stop the WHR from peeling away on scores. With WHR blocker Samantha Philips dealing big hit after big hit and helping to keep that defensive triangle solid, saw them with 90 points to The Cats 52 by the end of the first half. In the second half WWC came back with grit and gusto, but after several jammer penalties, WHR managed to add another 33 points to their lead in the first few jams, making the scores WWC 52 WHR 123. True to The Cats form, they were not disheartened and continued to give it their all, but thanks to solid walls and nimble jammers, WHR added another 36 unanswered points to their lead. This is until Katie Swift takes their first lead jammer status of the second half, adding 4 points to Wakey’s score. 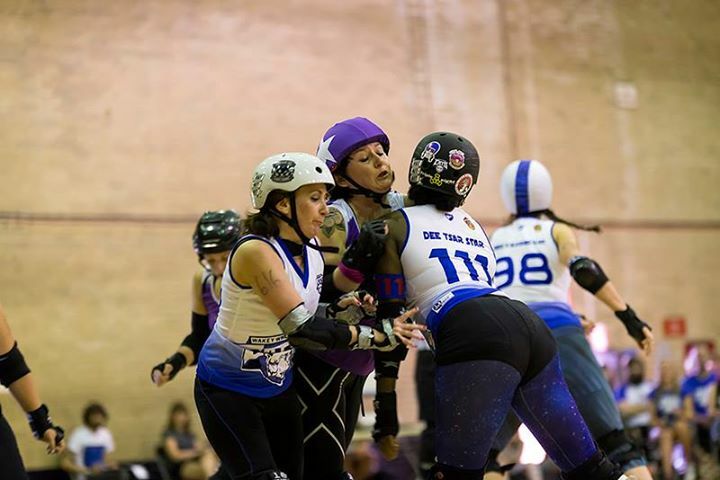 But despite WWC taking control of their jammer penalties, WHR continued to control the lead, racking up a further 58 points over several jams before The Cats star jammer Vicki Gray scores 5 points over 2 jams bringing the scores to WWC 61 WHR 217. But with only 3 jams to go and a point deficit of 156, WHR remained firmly in control until the final whistle.